Texturize quickly, with just a few strokes! 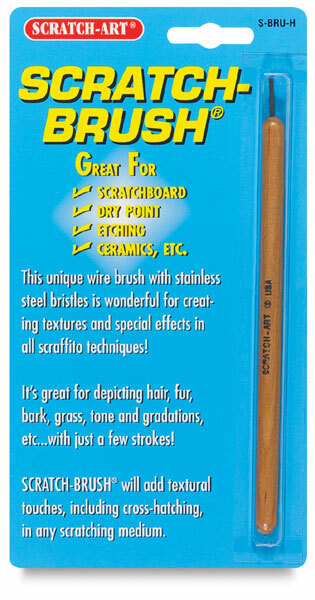 This brush is great for grass, bark, hair, fur, or just loose sketching. The brush features a 6" (15 cm) long wooden handle with 8 stainless steel bristles. 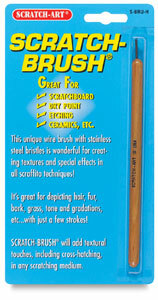 Try working with several of them at once, bending the bristles in different ways to create special effects brushes.